In the first decades of the 20th century, new methods and materials of parade float construction became widely available across the United States. Various styles of float building spread from cities where display artists developed seasonal parade businesses, including New Orleans, Pasadena, New York City, Miami, and Washington, D.C. 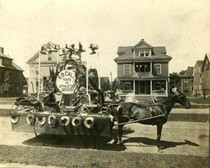 Many of the earliest floats spotlighted workers and manufacturing. 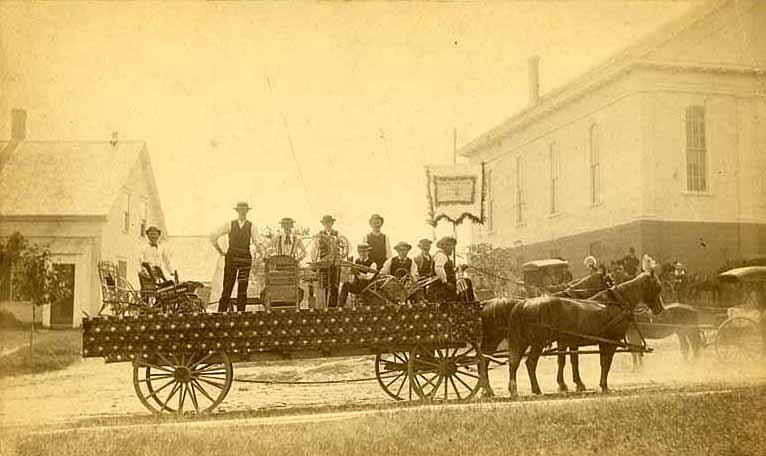 On Labor Day, horse-drawn buckboards, trailers, and hay wagons became mobile stages saluting workers and their occupations. 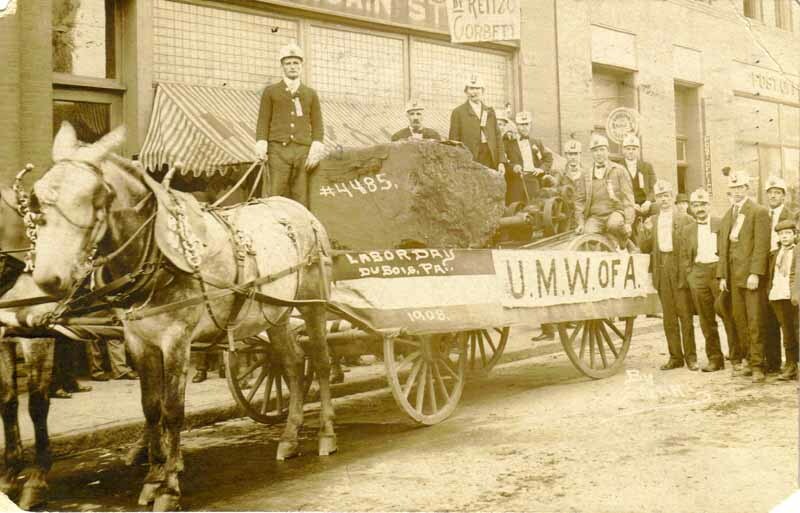 The workers who mined the coal—or caned the chairs, or reaped the harvest—created the float upon which they and their product appeared, often decorated with little more than a swag of bunting and a banner. Corn and sheaves of wheat were symbols of abundance that doubled as decoration. 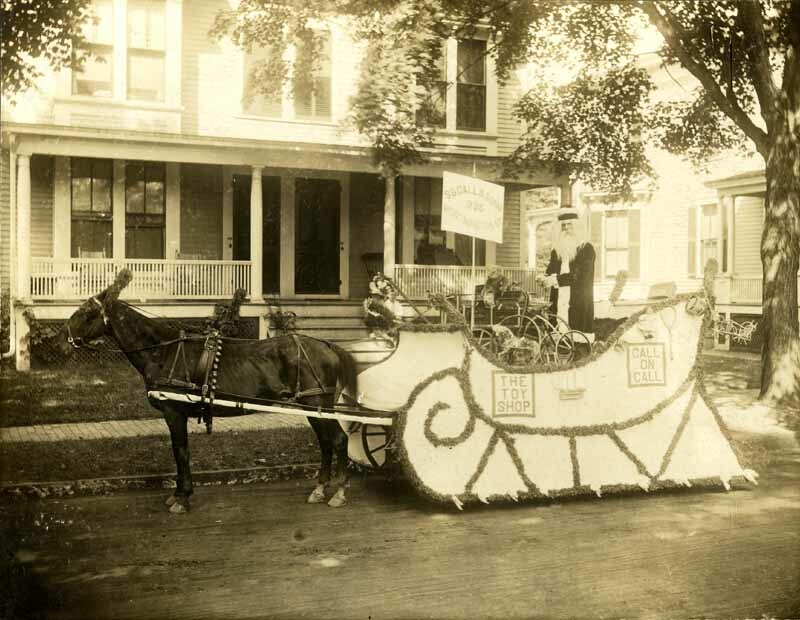 The carriage at right is covered with tufts of cotton batting, an inexpensive alternative to cut flowers. 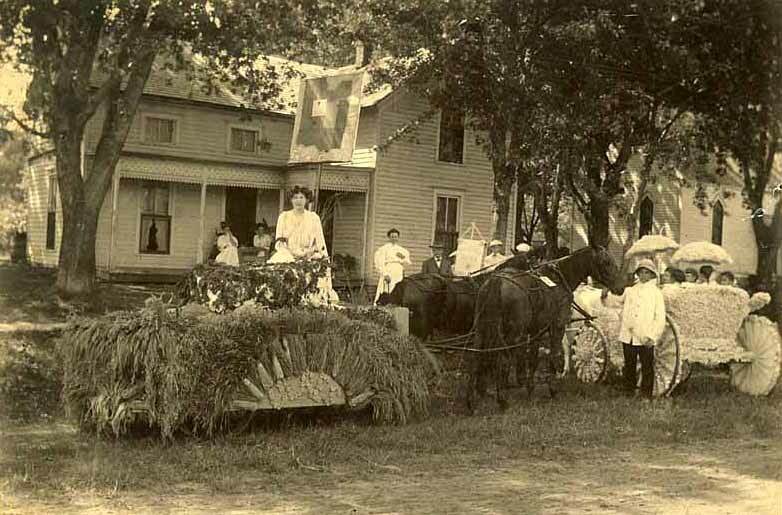 A wagon could evolve into a parade float with the help of a little floral sheeting. In the first photo, Mr. Call sits on his horse-drawn wagon with a jumble of toys and sporting goods. 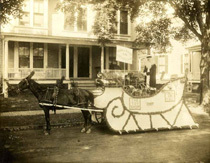 The second photo shows the same horse and wagon, now turned into a sleigh, with Mr. Call in a Santa suit. The merchant, who once simply piled his goods into wagons and shop windows, has now become a showman.